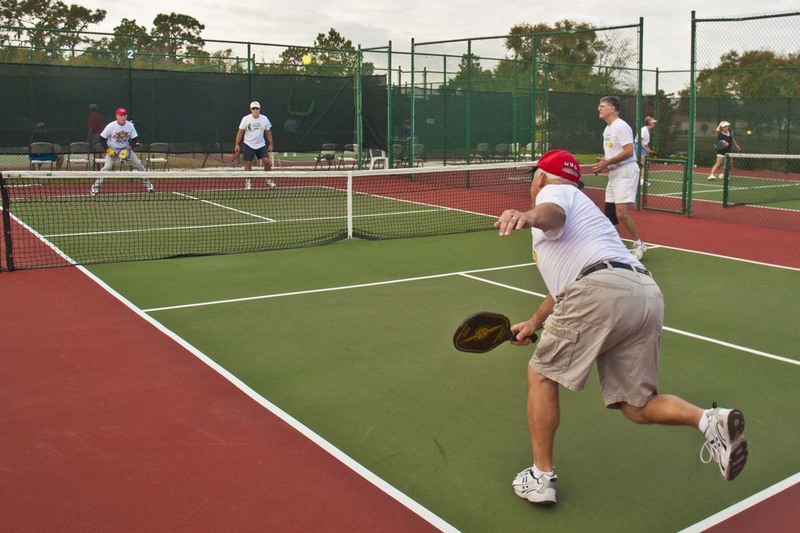 A total of 38 teams participated in the various divisions of the Pickleball tournament staffed by volunteers from the SCC Pickleball Club, Volleyball Club, Master of Ceremonies John Sauber, two University of South Florida Medical Students, Relay for Life staffers, and Jordan Cook who did a fantastic job for the 50/50 drawings. Through the efforts of all of these volunteers, a total of $291.00 was raised for the Relay for Life Cancer Fund. Everyone who attended or participated was treated to a day that featured weather that was picture perfect, top notch action that was non-stop, delicious hamburgers and hotdogs supplied by Apollo Beach Meats and a tournament that was professionally run by our MC John Sauber.